I don’t have exact measurements here – it depends on the size of your pizza and your palate. You can’t mess it up though, so don’t be nervous! 1. Preheat oven to 500, with a pizza stone if you have one. Allow the stone to heat for at least 30 minutes. 2. Prepare tomato topping: drain tomatoes and roughly chop. Combine tomatoes, olive oil, oregano, salt and pepper and let sit. 3. Roll out dough into desired size. 4. When oven is ready, pop the dough on to the pizza stone for a minute or two. This will allow you to put the toppings on easily. 5. 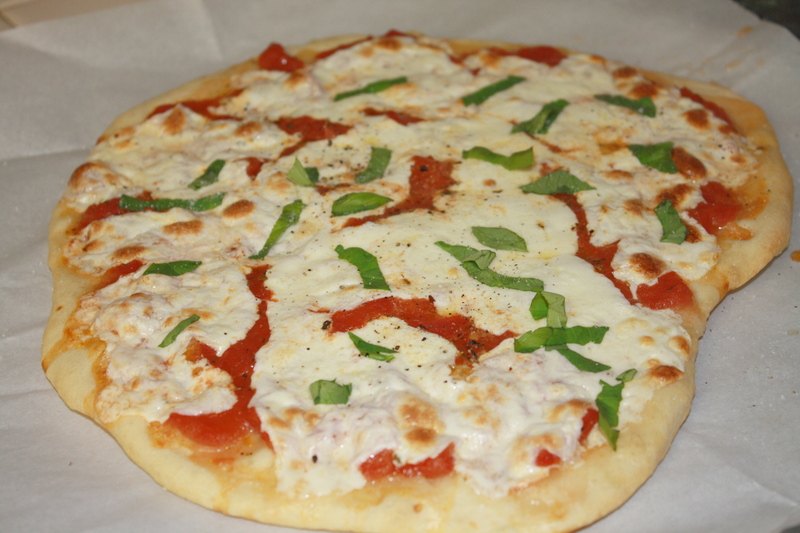 Remove pizza from oven and place on pizza peel, or baking sheet with parchment paper. Top dough with tomatoes, then cheese. Drizzle with olive oil and bake until cheese begins to bubble. 6. Remove from oven and top with basil leaves. Salt and pepper to taste, if desired. Let set up for a few minutes, then slice and enjoy! Laura note: If your fresh mozzarella is packed in water, it might be necessary to either drain the mozz in a colander for a while or blot your pizza with paper towels before you slice it. 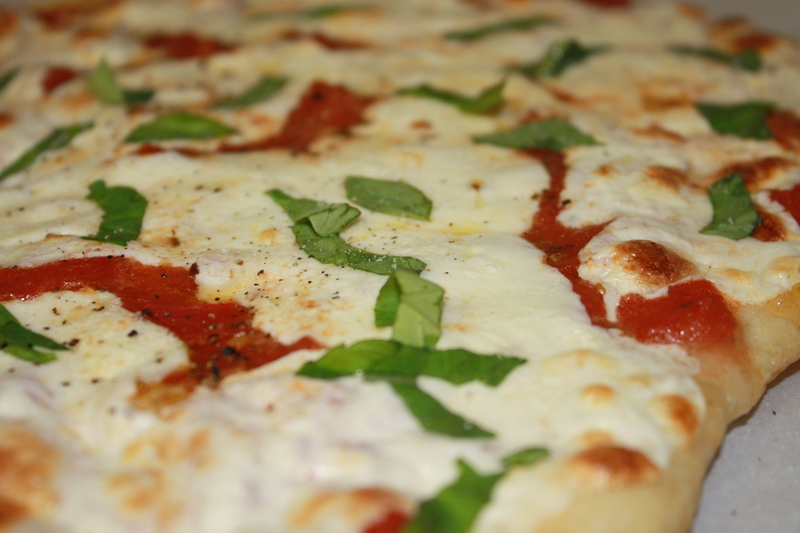 This entry was posted in pizza, Sweet Life Laur Original, vegetarian, wine and tagged basil, freah, incendio, margherita, mozzarella, pizza, vihuela, wine by Laura Zolnoski. Bookmark the permalink.